We're all feeling better. 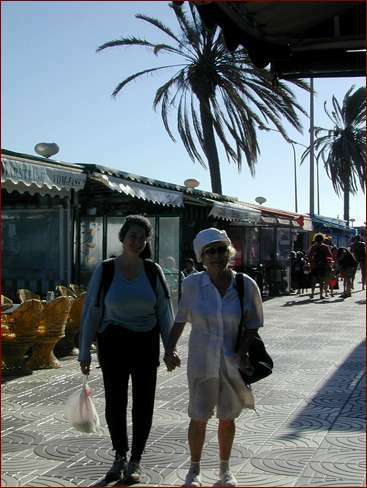 We walk down the curved path of the Avenida de Alfereces Provisionales, from the Atlantis Uno to the beach-front commercial strip. 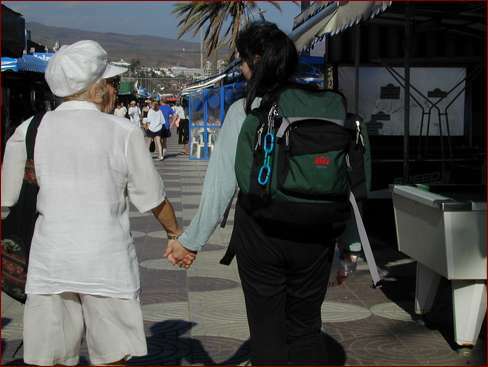 Rose walks with Omi Marga while I have Isaac in his baby carrier. The strip is a collection of eateries (now protected from the ceaseless choppy breezes), souvenir and beachwear shops, ice cream stands, and one public bathroom. Palm trees provide a bit of refreshing shade. We stroll to the southern side of the strip, to the Mozart Café. There we enjoy Viennese confectioneries as we look out the dunes, waiting for more recreational parachutists to drop from the skies. 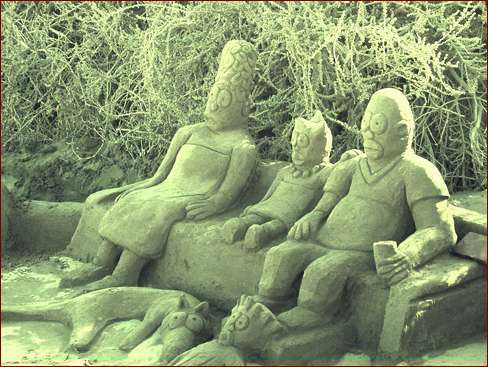 As we stroll around the nearest dunes we come across a sand sculpture of Matt Groening's Simpsons TV family. I'm suitably impressed. Too soon it's time for us to have a last look around.